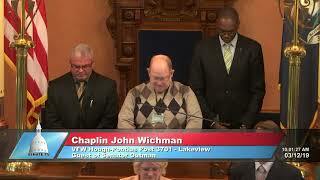 Senator Rick Outman welcomed Chaplain John Wichman of VFW Hough-Pontius Post 3701 of Lakeview to the Michigan Senate to deliver the invocation on March 12, 2019. 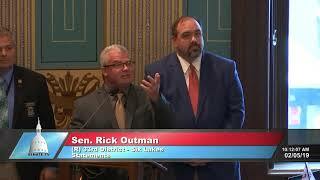 Senator Rick Outman and Senate Minority Leader Jim Ananich spoke in support of Feb. 1, 2019 being recognized as Blue Star Mothers Day. 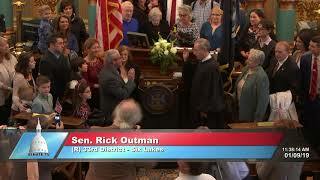 Senator Rick Outman took the oath of office for the Michigan Senate on January 9, 2019.